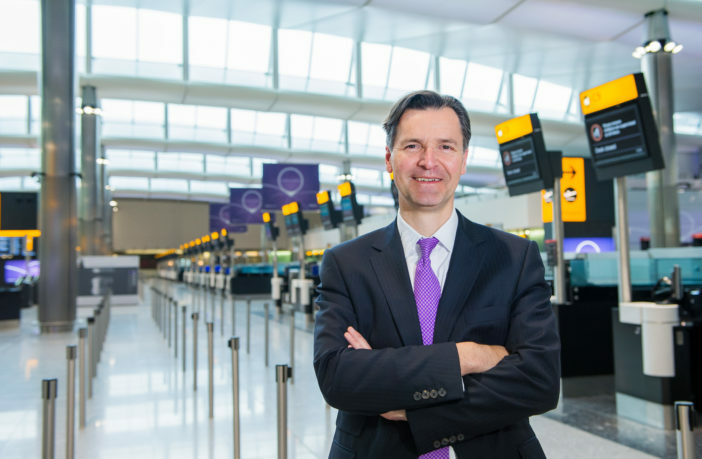 Ajar Technology’s world leading Airport Operations Centre (APOC) system, built for Heathrow Airport has been stated by Heathrow’s CEO, John Holland-Kaye as being the single piece of technology within their operation that has had the biggest impact on the passenger impact. John then went on to speak about what the system is and how it works, he stated that the APOC system brings all the data coming in from around the airport to be brought to one place. This allows the APOC staff to see the complete Heathrow picture. Seeing the entire picture enables them to offer the right information to the right staff members at the perfect time. This creates a proactive and effective atmosphere around the front-line employees. The system has many stakeholders represented within it; these include airlines, the Metropolitan Police, Highways Agency and more which enables these parties to be kept in the loop with up-to-date information providing a more resilient approach. APOC is a project that we, here at AJAR Technology are very proud of and were lucky enough to be the ones to carry this project out. We are so glad that the system that we have put together has enabled passengers’ journeys and airport experiences to be much smoother with less delays and disruptions. We are very proud to hear that there is a large appreciation for the system as our main priority is for the client to be happy and to ensure that the system, we have put in place caters to their needs. If you would like to read more about this and the current technological developments that are occurring at Heathrow Airport, you can see it here.